There’s no point having a blog if you don’t update it regularly so on my recent track record, I should be thinking about closing this site down. Working full-time, watching preview DVDs at night, doing interviews as early as 6am and raising a family leaves me with little time to update this but I am going to have another crack. There’s also the issue of public versus private. How much do I reveal here now my face is in the paper most days of the week? Do I even need this as an outlet? For starters I am going to post a few links to stories that have been in The West. Last week I chatted to Dr Andrew Rochford for The 7pm Project’s special report on the state of mental health funding. Chaser performer and writer Chris Taylor took time out from shooting to talk about The Chaser’s new series Yes We Canberra! although my byline seems to have fallen off this one. All in all it has been a busy couple of months, with a flying set visit to Melbourne in June that allowed me the opportunity to squeeze in a meal at Grossi Florentino. Over the coming months this blog is likely to become more food focussed as I leave my TV commentary to the newspaper and Twitter. So, having just backed up my iPhone, let’s start with a few foodie pics. 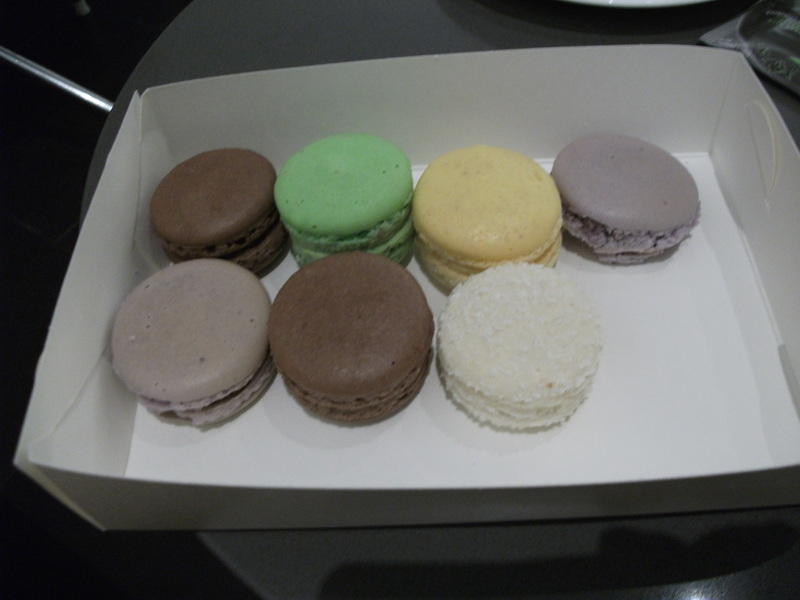 Inspired by MasterChef and my sweet tooth I have been trying macarons from just about everywhere, though I am still hanging out to get to Sydney to visit Adriano Zumbo’s patisserie. Here are some recent purchases, top to bottom, from Jean-Pierre Sancho in Perth and Cafe Vue in Melbourne. 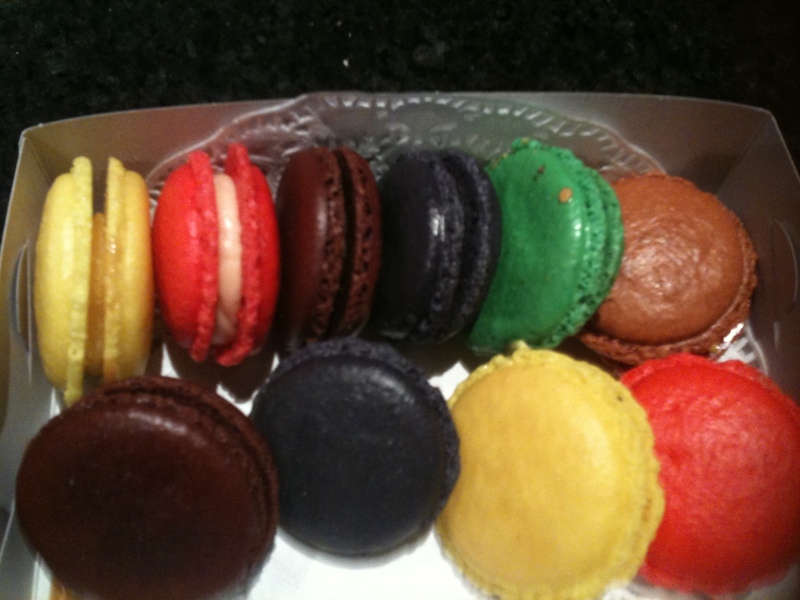 I can’t seem to find any photos of macarons from Choux so will add them later. And I was about to upload one of Rochelle Adonis’ chocolate macarons when it disappeared. Photos backed up from my iPhone seem to be appearing in totally random order, not by date taken. Frustrating! 7pm Project, Adriano Zumbo, Andrew Rochford, Bondi Vet, Cafe Vue, Chris Brown, Chris Taylor, Jean-Pierre Sancho, journalist, macaron, macaroon, masterchef, Melbourne, Rochelle Adonis, The Chaser, The West Australian, tv, Yes We Canberra! Previous Where did that week go? Next New Year, what else is new? Is there an email address I can reach you on, Sue?